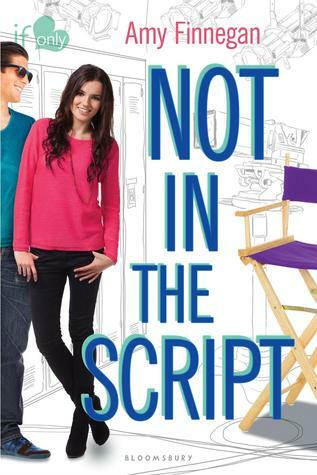 Not in the Script by Amy Finnegan is the third book in the If Only series from Bloomsbury. If y'all saw my review a couple weeks ago, this was a book I thoroughly enjoyed. It was such an honor to be asked to do a post for the blog tour, so thank you to Bloomsbury! Amy Finnegan writes her own stories because she enjoys falling in love over and over again, and thinks everyone deserves a happy ending. She likes to travel the world—usually to locations where her favorite books take place—and owes her unquenchable thirst for reading to Jane Austen and J.K. Rowling. Her debut novel, NOT IN THE SCRIPT, came about after hearing several years of behind-the-scenes stories from her industry veteran brother. She’s also been lucky enough to visit dozens of film sets and sit in on major productions such as Parks and Recreationand Parenthood. 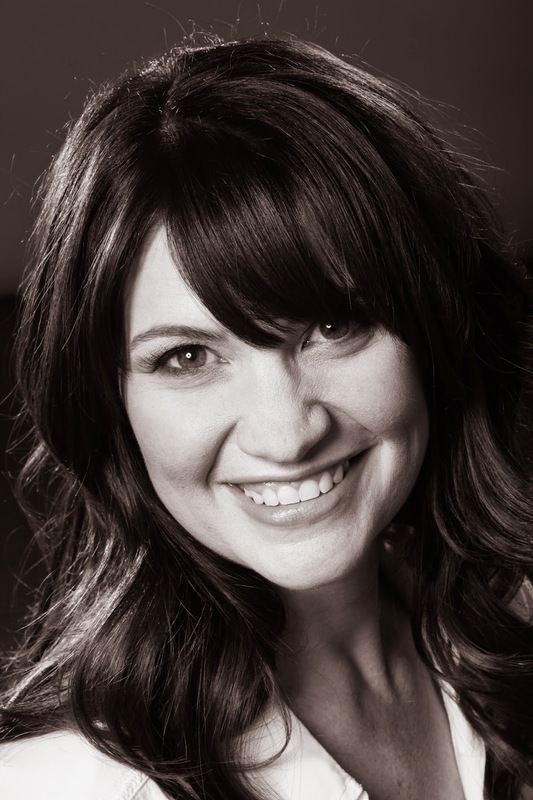 You can follow Amy on Twitter: @ajfinnegan, Instagram: StrangerThanFictionWriter, Facebook: Amy Finnegan, Author. Or Visit her at AmyFinnegan.com. I had the pleasure of interviewing Amy, so read below to see what she had to say! Emma: When did you know you wanted to be an author? Amy: Most authors I know started writing when they were very young—usually at least by their middle school years—but I didn’t start working on my first novel until I was thirty! I was in my twenties when I really began to love reading, and it wasn’t long before I realized that I couldn’t stop thinking about the books I liked. And then I noticed that my mind was actually inventing stories . . . and soon, I was having conversations with people who didn’t exist. So when that happened, I knew I had to choose between two options: either see a doctor or write a novel. But my wildest, fondest dream when I was a child was to be a secretary. I am at least living the typing part of that epic fantasy. Emma: Do you have a favorite place you like to write and perhaps a favorite writing snack/beverage? Amy: I don’t work well with distractions. Windows are my productivity nemesis, so when we recently built a new house, I designed my office with four solid walls and a door with a frosted window. The door still provides some natural light, but I can’t see out, and no one can see in. It’s perfect! Emma: Emma is such a great name. ;) Why did you choose it for your protagonist? Amy: I’m so glad you asked, Emma! I actually do have a story behind my protagonist’s name: When I was expecting my third daughter, my husband and I couldn’t decide between Ella and Emma. We ultimately decided on Ella, but Emma didn’t disappear quietly. When I love a name, I find a way to use it! Emma: Was anything cut from NOT IN THE SCRIPT that you wish could’ve been left in? Amy: My first draft of NOT IN THE SCRIPT was about fifty pages longer than what is now the published version. It included a fun Halloween scene that I loved, where Jake and Emma sneak out in costumes and enjoy their first date in public without the risk of being discovered together. There was also an epilogue that takes place at Emma’s first fundraising event for her foundation, which happens two months after the current last chapter of the novel. This epilogue would have caught readers up on the lives of the actors. After all, despite what happens at the end of NOT IN THE SCRIPT, the cast of Coyote Hills still has to work together, and the show isn’t called a drama for nothing! However, my Bloomsbury editor never saw the manuscript at its first-draft length. Before I submitted it to her, I revised and sculpted the story based on what scenes were really necessary. But the manuscript was still over 100,000 words, which is crazy-long for a YA contemporary novel (they’re usually around 75,000 words), so I was convinced that my editor would want me to cut a lot more, but she didn’t. We tightened up some lines, but content wise, we only added to the story. Emma: What’s your favorite fairytale? Amy: I always love a good Cinderella story. That girl knows how to keep a guy guessing! Emma: Can you share anything about what you’re writing next? Amy: I have solid foundations for seven manuscripts right now, and bits and pieces for several others. One of these is a novel I actually finished before I started writing NOT IN THE SCRIPT, but the story still isn’t quite where I want it to be. Not even my editor has seen it yet, because I want it to be a lot stronger before she does. But here’s a hint about the story: I’m about to take my fourth trip to the UK where I’ve been doing some incredibly fun, historical research! So, if you’ve already read NOT IN THE SCRIPT, just imagine Jake in a tailcoat and you’ll get the picture. Emma: Thanks so much for the interview, Amy!